Big Pig Lobbyist Uses Cloakroom Tactics to Foil Small Farm Defense - Hartke Is Online! Big Pork industry lobbyists, representing the Michigan Pork Producers Association, pulled Michigan state Senators out in the hall for private meetings, last Thursday. At the time, Senator Darwin Booher was seeking support to delay the April 1st implementation of the controversial “feral pig” Invasive Species Order. The order, once implemented, gives the Michigan Department of Natural Resources (DNR) the right to destroy any pigs raised outdoors, even on private land, that they judge to be prohibited. Michigan Department of Natural Resources has small farmers and private game preserve owners in its sights, as it seeks to solve a perceived feral pig problem in the state. The state legislature has already given Michigan residents permission to shoot wild pigs on sight. Now, the agency wants to destroy domesticated pigs which, it believes, have the potential to escape and re-wild. Any private property owner with pigs on their land is at risk for being considered a felon, in this Orwellian scenario. Free Range Pigs to be Banned, while CAFOs Freely Operate. Except, that is, for pigs raised in confined quarters. Pigs raised by farmers, outdoors in their natural habitat–not the pigs raised in factory barns–are the only ones considered by the agency as likely to “go rogue.” So, as in George Orwell’s Animal Farm, some pigs are more equal than others. Confined Animal Feeding Operations (CAFO) farmers get a free pass and the little guy potentially is subject to having his pigs shot by the state, and may face fines and even jail, if they resist. In the pork industry, pastured pigs are called “dirt pigs” and factory pigs are called “concrete pigs.” Everyone knows that pigs are happiest in dirt. So, it is a terrible irony that a state agency charged with the welfare of wild animals is threatening to slaughter domesticated pigs enjoying a good life on private land. 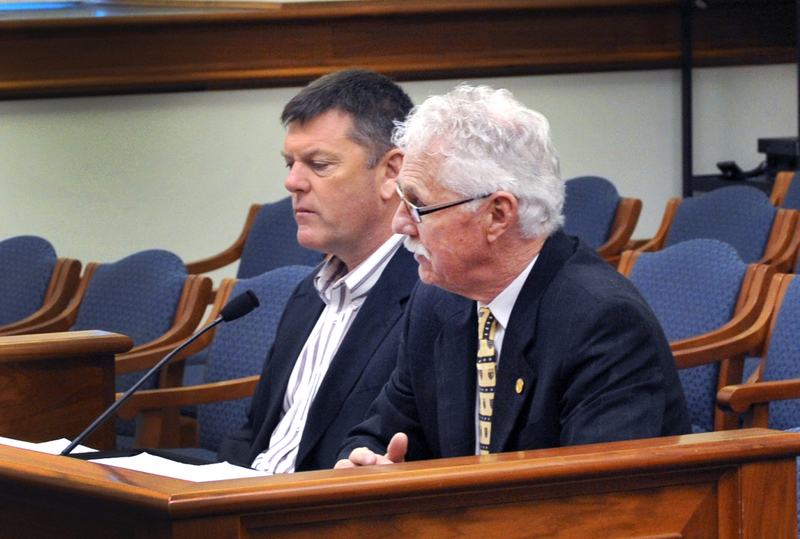 On Thursday morning, March 29, Baker went before the Senate Agriculture committee to point out to the Senators that DNR’s Declaratory Ruling that details the characteristics of prohibited swine is biologically and scientifically illogical. Baker’s State Senator, Darwin Booher arranged the hearing, out of a desire to protect the many small businesses at risk once the egregious ruling is enforced. Here is a news report on Booher’s website about the proceedings, Booher Calls on Governor to Rescind Invasive Species Order on Swine. After hearing Baker’s testimony, it seemed a number of the Senators were stirred up and ready to vote for reprieve for the small farms and private hunting preserves. They introduced language that same day, during the Senate’s full session that would have delayed enforcement of the ISO for 90 days. The Michigan Pork Producers Association (MPPA) is clearly one of the leaders of this effort. However, it seems from this lobbying letter, ALM Page 1, ALM Letter Page 2 written last April, that numerous Agri-business interests have aligned themselves in favor of DNR running roughshod over private property rights and free trade. Michigan Milk Producers, Potato Growers of Michigan, Michigan Agri-Business Association, Michigan Allied Poultry Industries, GreenStone Farm Credit Services are also behind the measure. Clearly, this case will have implications for other states. If Agribusiness succeeds in curbing free enterprise in Michigan, what is to stop them from doing it elsewhere? Tennessee State Representative, Frank Nicely, who chairs his state’s agricultural committee, expresses concern that the DNR act of declaring domesticated pigs as invasive species, if allowed to stand, will have serious negative impact on farm diversity and farm start-ups. Here is the letter, RepNicelytoRepDaley March 2012, sent to the Chairman of the Michigan House Ag Committee, asking him to firmly rebuff the DNR from overstepping their boundaries into animal agriculture. Big Pig won the day, the Senators buttonholed in the hallway, withdrew their support for the delay. The ISO became enforceable this past Sunday, April 1, 2012. Something very positive came out of Baker’s testimony, though. Senate and House members were so struck by the DNR’s intended trespass on private property rights, that 16 of them co-signed this letter to the governor, Letter to Gov Snyder 3-30-12 asking him to intervene to end the threat to small farms and private landowners. Unfortunately, on April 2, the day after the ISO went into effect numerous “dirt pig” farmers received visits by the DNR, wanting to inspect their farms, in each case, the farmer’s politely asked them to produce a warrant,” according to Mark Bakers’ attorney, Joseph O’Leary. So far, none of O’Leary’s clients has received such a visit. 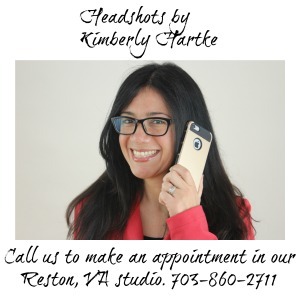 Kimberly Hartke is the publicist for the Weston A. Price Foundation, a nutrition education and activist group which promotes consumer direct trade with local farmers. I live in Michigan and I’m calling the governors office tomorrow! This issue is so infuriating! No one from the DNR was even THERE?! And what did I miss? What happened in the hallway??? I’m tweating, FB’ing, and adding this to my Monday post. Just outrageous! I had no idea when I first heard this story that they had such wide latitude to destroy any pig raised outdoors. I’ll also post to G+, FB, and Twitter. Kelly, read the letter sent last April from the Agribusiness folks that I link to toward the end of the article. Those are likely the arguments the lobbyist used to dissuade Senators from acting to protect the private property rights of free range swine owners! These CAFO owners have the nerve to claim that these healthy, happy pigs on pasture could infect their confined pigs with disease! More likely they produced some incriminating photos (they lure all politicians into such) and said, “Now you sure wouldn’t want these on the front page of the paper tomorrow, would you?” That’s how we end up with senseless laws that no one wants. Call for a boycott of all pork products if this goes through. Heck, start now. Otherwise we’re just rewarding the big pork industry and their thugs. I agree with TC. Boycott PORK, and I love the stuff. I am also going to boycott the others that supported and are behind this, like the Michigan Milk Producers, Potato Growers of Michigan, Michigan Agri-Business Association, Michigan Allied Poultry Industries, and GreenStone Farm Credit Services . Next thing you know, we will not be able to have a few chickens in our back yard, etc etc. I will point out here that this is EXACTLY what happens whenever you allow Republicans to control your state legislature (and any other offices). If you look, you can see it in Washington in the House and in states all over this country. Time to wise up and make certain they aren’t able to have such a stranglehold on the government again, especially when they’re so extreme and in bed with businesses and special interests. Hey TC — find and support a local forest-fed or pasture-grazing pig farmer! My husband and I buy from three local producers and it is the most delicious and amazing pork we have ever consumed! Also, hunters need to choose private hunting preserves and stay OFF the public lands. Let’s defund the DNR by not supporting their bloated payroll. If those 3500 employees of DNR would just go on a wild, feral boar hunt on public lands, they wouldn’t have to drive all these businesses under. I plan to do a story Friday on the impact on private hunting preserves of this insanity, and later a story on how this crisis is manufactured by Big Ag and Big Government, to protect their money interest! Sharon, this is not a Dems vs. Republican issue. If you take the time to watch the video, it was the Republicans on the AG committee that were the most outraged at the situation. I am only posting in response to Sharon and the insanity she believes in. I don’t mean to sound harsh, only blunt. You have to be delusional if you still think one party is the problem and the other is the solution. Representatives of both parties are equally capable of being at fault, and equally capable of doing what is right.. when at fault, it is likely not a matter of political ideology, but lobbyist buyouts. THAT is the problem. Not Republicans. Not Democrats. Lawyers. Because representatives of both parties are equally capable of being bought out when the money interest is strong enough to persuade them from abiding by their moral principles. And Big Ag lawyers have a LOT of money to throw around. In support of “nonexist” all I can say is he is right. This action is much bigger than blaming Republicans. You would be SHOCKED to learn where the Pork Industry is forcing their regulations to comply. We now have an “Internationa”l Organization directing our Food Industries, no different than OSHA regulates safety….and it’s all about full control in support of “Factory” Farms. Many Senators/Congressmen are not even aware of what’s going on, overlooking ISO, just as most have done here. This is not good for Michigan, it’s people or our Country. Your opportunity to educate yourself and wake up is now. this was on the democrat time, it just became active now! Reading the ALM letter is a bit maddening. The constant reference to “feral” makes be believe that the author of the letter and the signers have not read a dictionary and are not aware of the “shoot on sight” law for pigs that have escaped their confines. The repetitive reference to “feral” is meant as a scare tactic. It is used to paint a picture that these farmers have hordes of angry pigs on their farms waiting to escape and tear up the country side. I guess what angers me more are those farmers who have similar pigs to the Bakers not supporting the fight because they have been told their pigs are ‘safe’ from destruction even though they carry the same characteristics as the pigs on the Baker farm, or are described by one of the phenotypes in the DNR Declaratory ruling. Something smells rather fishy to me. I’d be curious to know if the other farmers raising mangalitsa pigs that received notices from the DNR are members of the American Mangalitsa Breeders Association or not. Here is a petition please sign and share! PS – if anyone lives near Lansing and can hand deliver it to the Governor’s office please contact Marita who formed the petition (contact info is available on petition). @Lee, I believe it is called the Divide and Conquer strategy. How anyone can say, “my pigs are ok, so I am fine with this” is unbelievable. If the farmers won’t hang together now, pretty soon they will come for all the pigs. I have never been so disgusted with a government.industry action as this one. I hope heads will roll on this one. And I hope lots of people start to question how their pork is raised. Just to bandwagon on the other comments about this not being a political party issue and add that republicans are the business owners, small business that is. Big businesses that hire lobbyists tend to be liberals. Liberals believe the government can cure all the woes of the people. Conservatives believe in conservative government which means taking responsibility for yourself, unlike those who run to the government for regulating their competition. Beyond that there is no true party lines any longer. They are blurred by the same lens that the DNR is using to regulate the legislation in place. Someone should look into the finances of the DNR officials responsible for carrying out these bogus acts of public safety. Calling the new governor tomorrow. Someone should look into why Governor Snyder has re-formed and given more liberal authority to the MDNR through executive order. Any change to the structure of this government department should have been done through the legislature, where public comment and direction could be made. I guess he thinks he is, like the CEO of a private company, the boss of we people of Michigan. What is in fact infuriating about this (Heather) is Mr. Baker’s utter selfishness! I live in Texas and wild pigs–hybrids of domestic and Russian escapees from farms like Mr. Baker’s–are destroying our environment. I have watched as my family’s land has lost all of it’s bobwhite quail, pigs eat the eggs in the nest. Our gardens have been eaten in the ground, rooted out after months of physical and monetary investment. But I am supposed to support Mr. Baker because he has learned to raise an invasive and destructive species? NO, he is breaking the law. Period! He harbors and breeds a species that systematically destroys any ecosystem into which it is introduced. Mr. Baker is only the newest, Randian version of “selfishness as virtue” personified, and those of you proclaiming his “rights” seek only to trample on mine and your own. Your myopia precludes you from seeing it. Thomas Franks had it right when he said that “conservative populists believe in capitalism so much that they cannot see how capitalist ideals damage their lives” (paraphrased). Mr. Baker is damaging the nation’s resource and wants the nation to be okay with that; in fact, he wants us to sanction it! He is an unrepentant, antisocial person, and in case you haven’t learned it yet, we call those people CRIMINALS in the United States and Texas! Andy, there is no feral hog problem in Michigan. While there may be one in your state, you can hardly judge another state by your standards. Frankly, feral pigs are what hunters are for. Perhaps Texas needs more boar hunters. Maybe you missed my other stories about Mark Baker (I hope you will search my blog for all the articles about Mark Baker and the one about Greg Johnson). What you are calling invasive species are just farm animals that aren’t confined in CAFOs. Those are the facilities that should be outlawed, not free range pigs behind secure fencing. These are domesticated, not wild pigs. Like a dog or a cat, they depend on the farmer for food. They have no reason to seek escape, because they have plenty of land to forage and inhabit. I am sorry for the loss you have experienced, but please have a heart for small farmers who have hurt no one. This issue is all about government control and I am surprised a Texan would advocate more of that.